Hood Canal is one of Washington's most-visited natural areas. Along the Dosewallips and Duckabush Rivers, visitors enjoy hiking, birdwatching, and wildlife viewing. At Dosewallips State Park, one of Washington's most popular recreation areas, visitors can stay year-round in the cabins, and new shoreline access along Hood Canal ensures the park remains a prime spot for swimming, boating, fishing, and gathering shellfish. In 2015, The Trust for Public Land and our partners protected approximately 6,300 acres along the Dosewallips and Duckabush Rivers between the Olympic National Forest and Hood Canal, providing greater public access to recreation and ensuring the continued availability of that land for sustainable timber harvesting. A portion of this land has been added to Dosewallips State Park, where State Parks and Washington Trails Association have plans to build a new trail leading into the majestic Olympic National Forest. Portions of the land along the Duckabush River were added to Jefferson Land Trust’s conservation properties providing new opportunities for restoration, environmental education, and new trails. Other portions will remain working forests, maintaining an important component of the local economy. These projects were made possible through our partnership with Readiness Environmental Protection Integration (REPI)-a program to buffer critical military installations- and through the support of Pope Resources, Green Crow Corporation, Jefferson Land Trust, Washington State Parks, Naval Base Kitsap, and the local community. 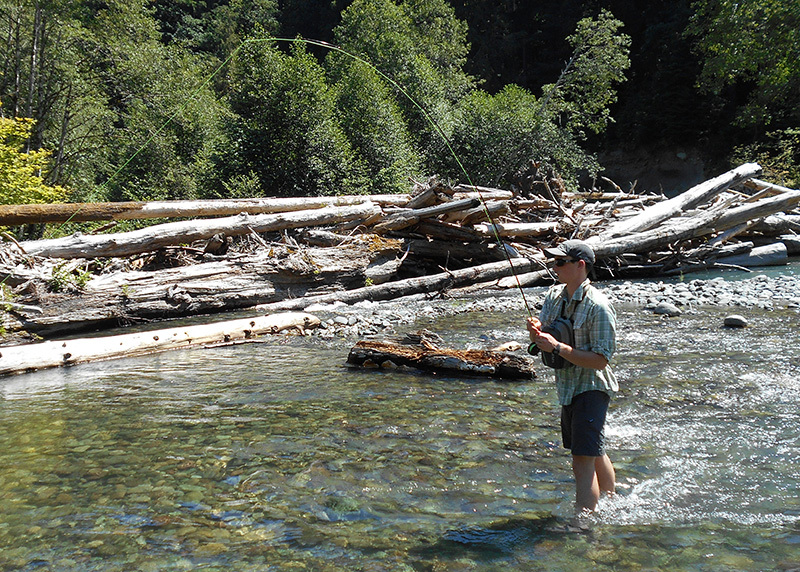 Funding was provided by the US Navy REPI program, the National Fish and Wildlife Foundation, as well as Washington State Parks and Jefferson Land Trust with funding received through the Salmon Recovery Fund Board.